Pop: 21,000 ~ Location: 164 km east of Melbourne. 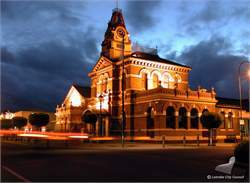 Traralgon is a thriving commercial and administrative centre In Victorias energy heartland, servicing a major agricultural, pastoral, papermaking and timber Industry. 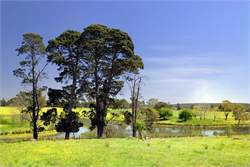 Settled around the Traralgon Creek, its name derives from two words: tara meaning river and algon meaning little fish. It grew as a stopping place for drovers during the gold years and received a boost with the completion of the railway to Melbourne in 1879. Remnants of the gold rush architecture can be seen in the old Traralgon Post Office, Ryans Hotel and Ostler House. 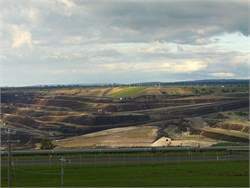 The Loy Yang Open Cut and Power Station, south east of the town, is one of Australias biggest engineering projects and represents half the viable reserves of coal in the Latrobe Valley. Morwell National Park - 27km south/west of Traralgon - This Park encompasses a stringybark forest on the higher ridges, while tree ferns and blue gums are a feature in the creek valley. Two established short walks highlight the gullies, treeferns and more than 40 species of native orchid, including the summer flowering hyacinth orchid, the biggest ground orchid in Victoria. Solid fuel barbecues, picnic shelters and toilets are provided. Walhalla - 48 km north of Moe and Traralgon. 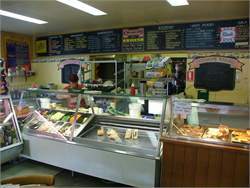 Gippslands most authentic and beautifully located historic town. The few remaining buildings cling to the steep sided valley or around the fast flowing creek, several of which are open for inspection. 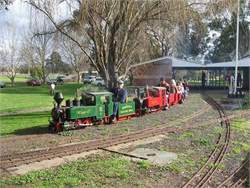 Tours of the Long Tunnel Extended Mine are regularly available and the Walhalla Goldfields Railway winds it way from Thomson Station through some of Victorias most beautiful mountain scenery. Tarra Bulga National Park - 33km south of Traralgon - BALOOK Information: Phone: 131 963 This park is a remnant of the magnificent mountain forests that once covered the entire Strzelecki Range. Its 1,560 hectares are noted for their moist, lush fern gullies, beautiful tree ferns, towering mountain ash and its famous suspension bridge. The splendid forest is full of songbirds, including the master mimic, the lyrebird, which can be often found along its network of walking tracks and shorter nature trails. The rainforest information centre at Balook is open at peak times to provide excellent interpretation of the Park and to display reminders of the early settlement of the area. 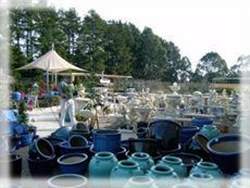 A barbecue/ picnic area, with toilets and shelter, is provided. Traralgon Agricultural Show - late November.